We all have that friend who waits for the newest, most cutting-edge blender with the anticipation most reserve for new iPhones. Or a sibling who is asking for a mortar and pestle or a chic new cutting board this holiday season. 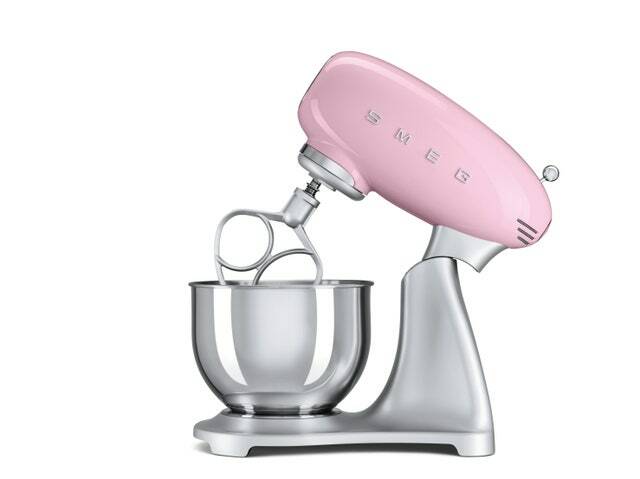 If you’re not up to date on the latest kitchen tool trends, fear not: We’ve put together a list of the very best and there really is something for everyone, from a vintage-inspired pepper mill to one seriously statement-making stand mixer. What did we find? Color is hot. So are unexpected metallics (think rose gold). Compact sizes are abundant, too, so small-space dwellers will not be stuck searching for a place to store their new treasure. 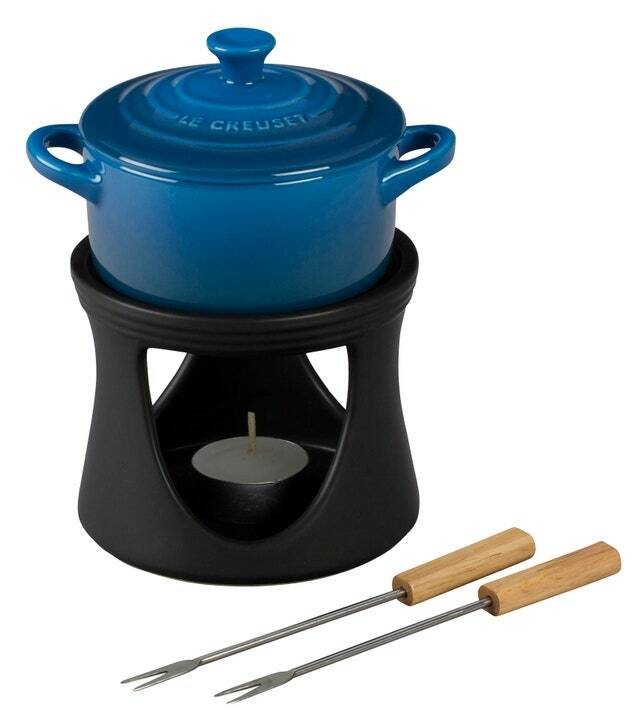 And who knows, maybe you’ll be invited over for a fondue party in return. Read on for a roundup of the coolest tools of the kitchen trade, each with a bit of a twist. Fan favorite Danish brand Hay’s collection of kitchenware with the MoMA Design Store is the housewarming gift of the season. 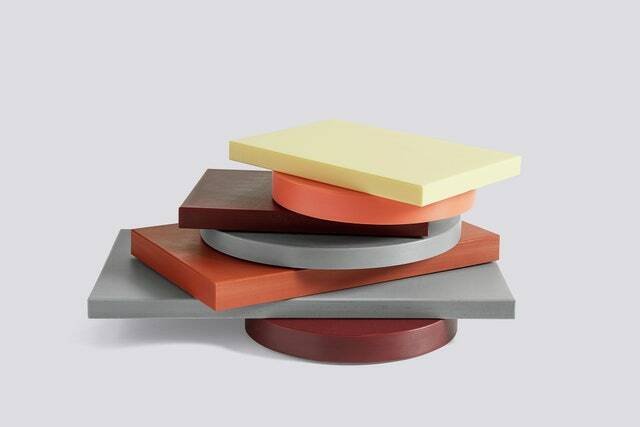 These colorful chopping boards put a slab of wood to shame. SHOP NOW: Hay Chopping Boards, from $45, store.moma.org. This high-design juicer in a shimmery rose gold does not need to hide in a cabinet. 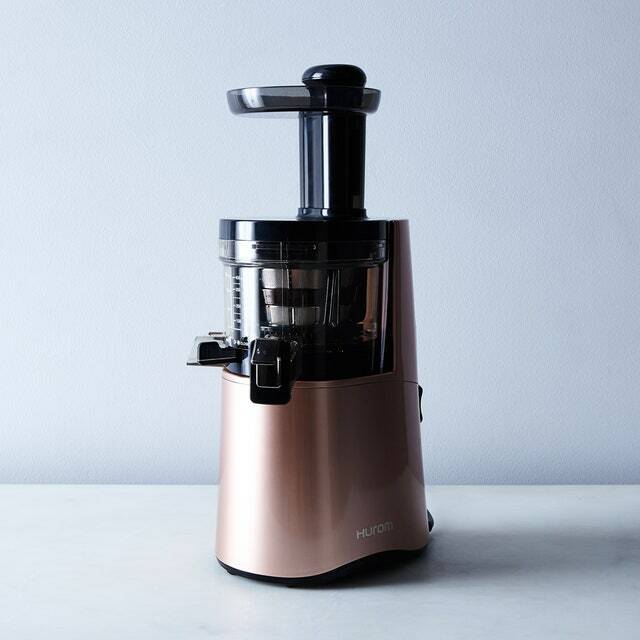 SHOP NOW: H-AA Slow Juicer by Hurom in Rose Gold, $459, food52.com. Ditch the food processor for something a little more analog. 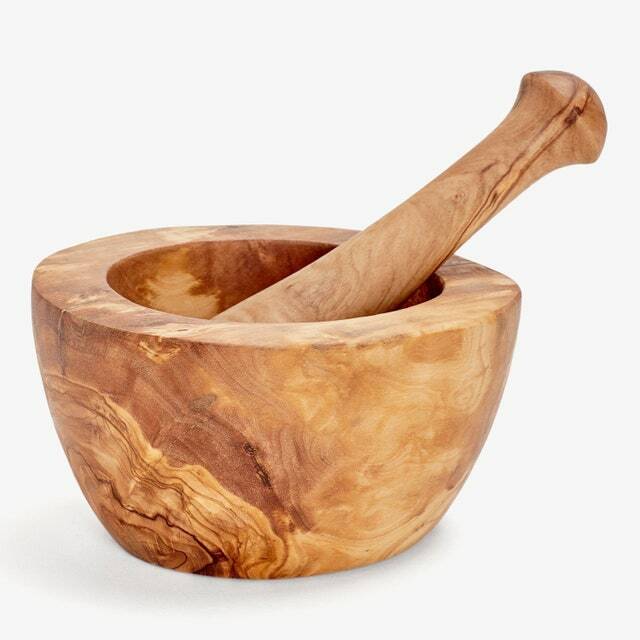 SHOP NOW: Round Olivewood Mortar & Pestle, $48, abchome.com. Why get a regular cheese grater when you could get a stylish one? 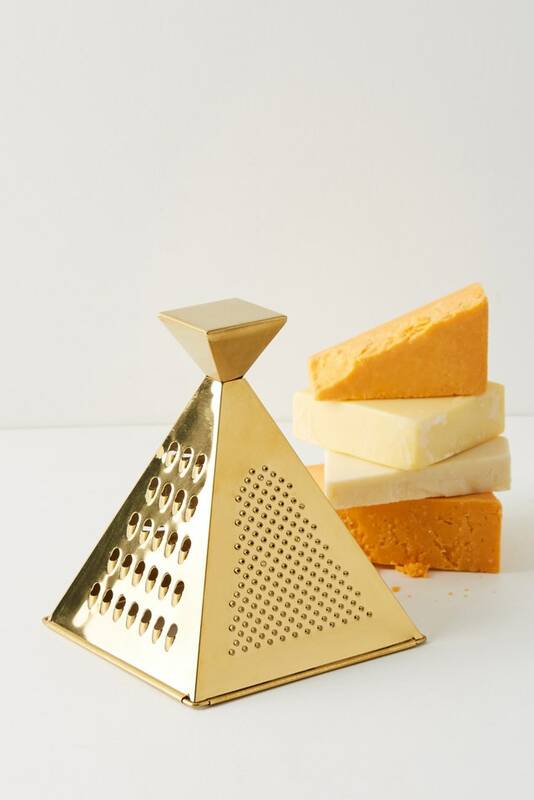 SHOP NOW: Cheese Grater by W&P Design, $36, anthropologie.com. The cutest pepper mill in the world. Hands down. 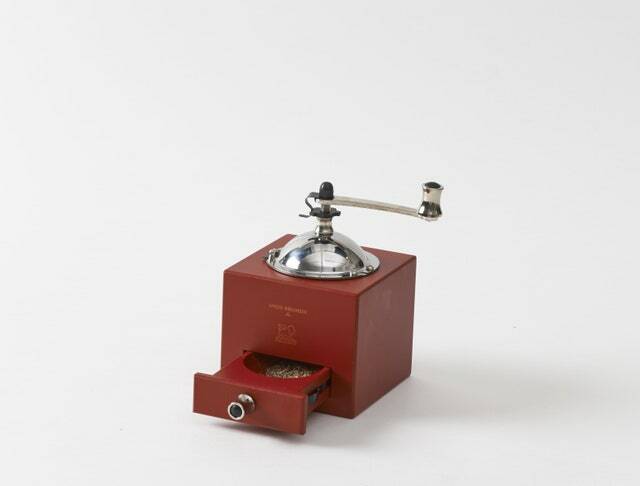 SHOP NOW: Peugeot Olivier Pepper Mill in Red, $135, marchsf.com. 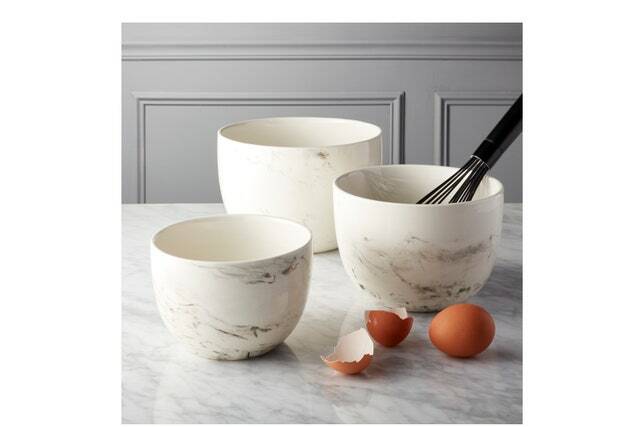 These marbleized mixing bowls, evocative of Japanese design, add instant style to the kitchen. SHOP NOW: 3-Piece Stir Mixing Bowl Set, $40, cb2.com. This blender’s jazzy copper finish hides a powerful motor perfect for smoothies and soups. 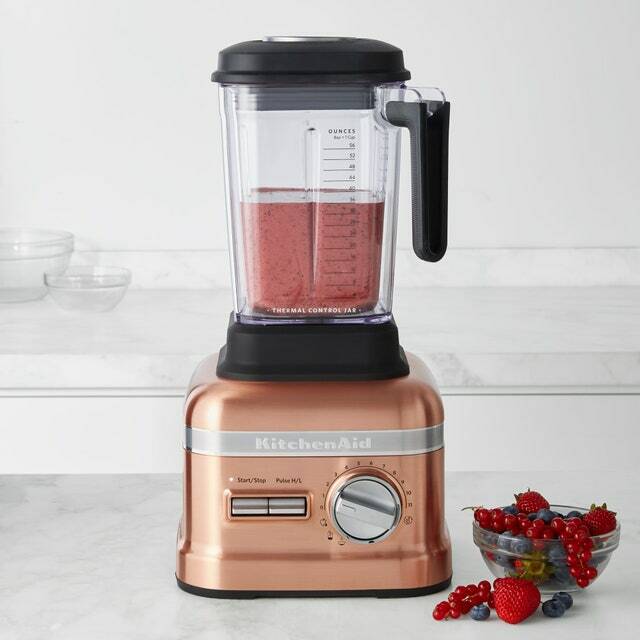 SHOP NOW: Pro Line Series Blender with Thermal Control Jar in Copper by KitchenAid, $800, williams-sonoma.com. You never knew you needed a pop of color with your colander until you met these. 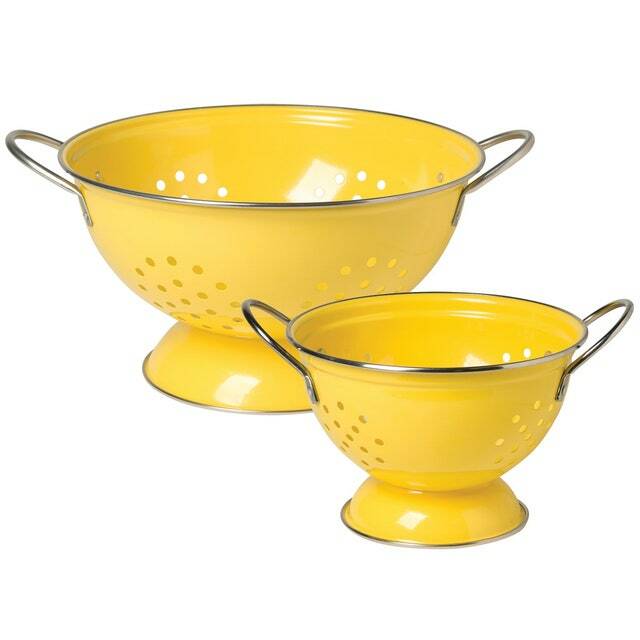 SHOP NOW: NOD23301 Colander in Yellow by Now Designs, $38 for set of 2, themine.com.